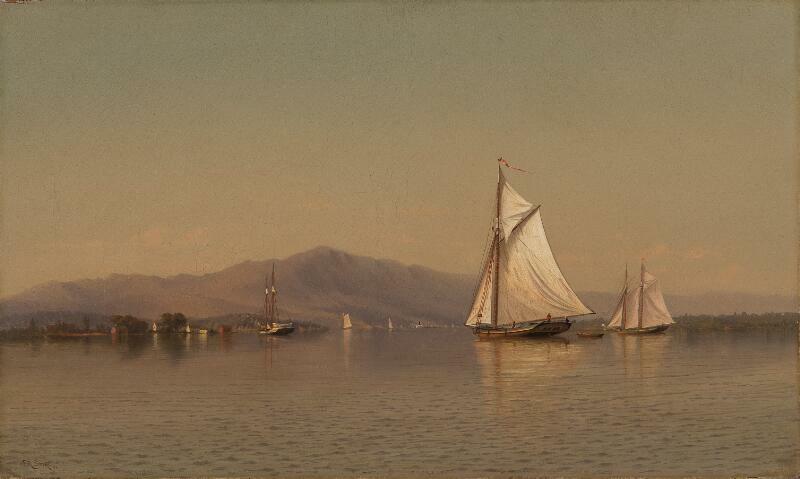 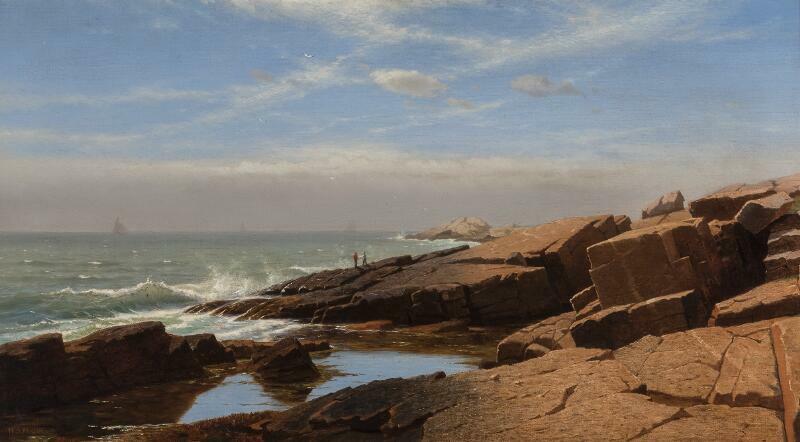 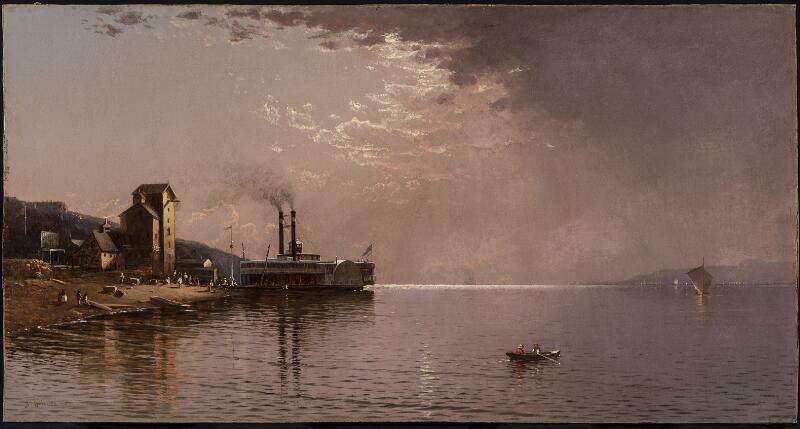 One of the most prolific and influential American landscape painters of the mid-nineteenth century, John Frederick Kensett is best known for his small-scale, luminous coastal scenes of Connecticut, Massachusetts, New York, and Rhode Island. 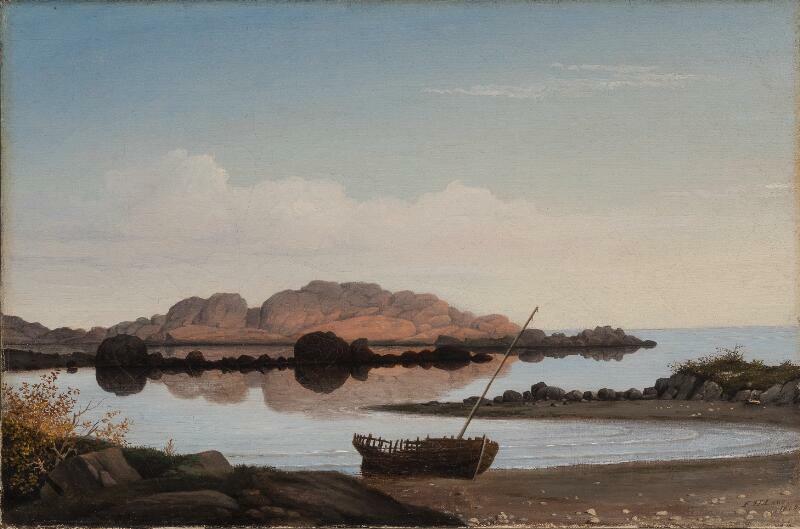 While Kensett painted many scenes of Newport, Rhode Island, a popular northeastern tourist destination, Almy Pond, Newport uniquely portrays the seaside town as a pastoral community. 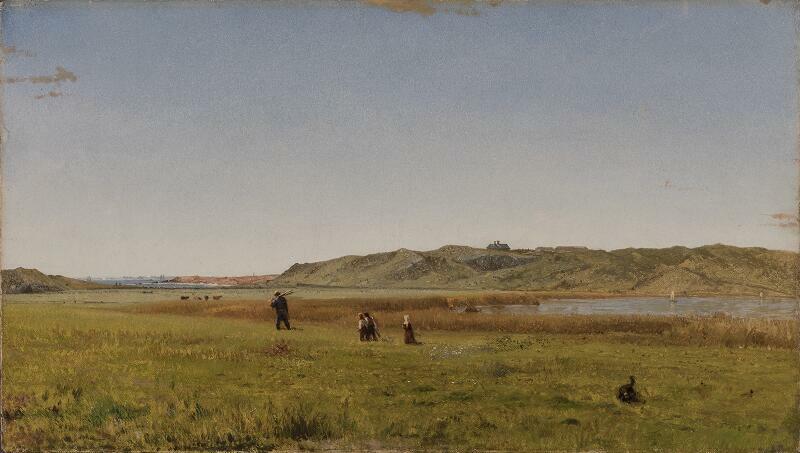 The flat, expansive scene includes both the eponymous pond and Spouting Rock, two landmarks recognizable to locals and travelers alike. 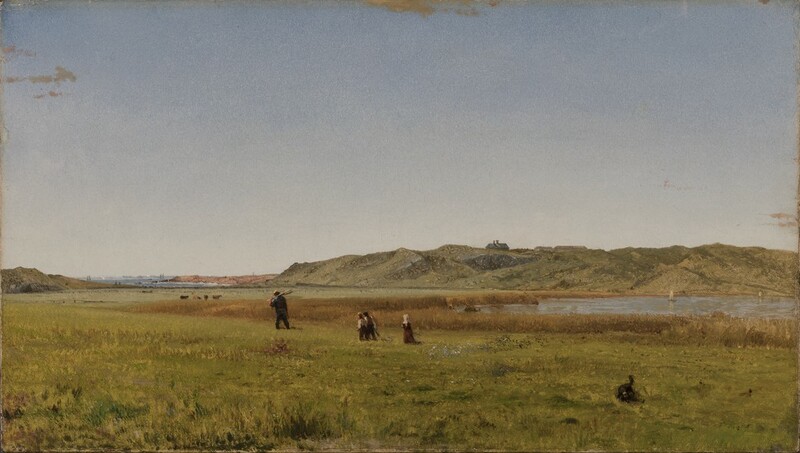 Animating the otherwise still scene, a farmer, his three children, and their black dog traverse the field toward grazing cows in the distance. 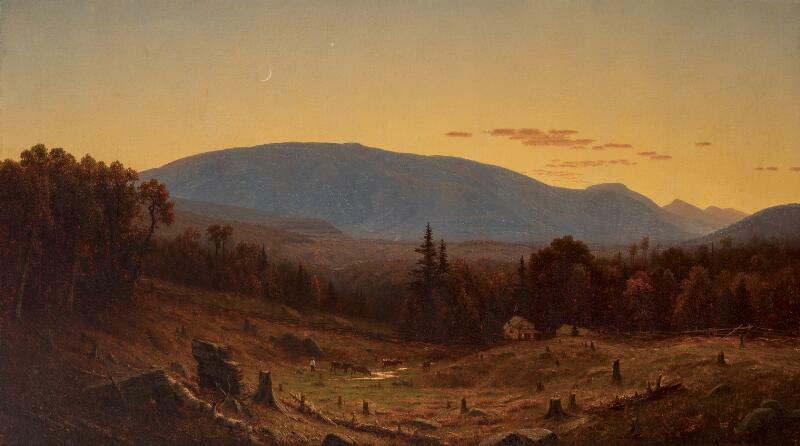 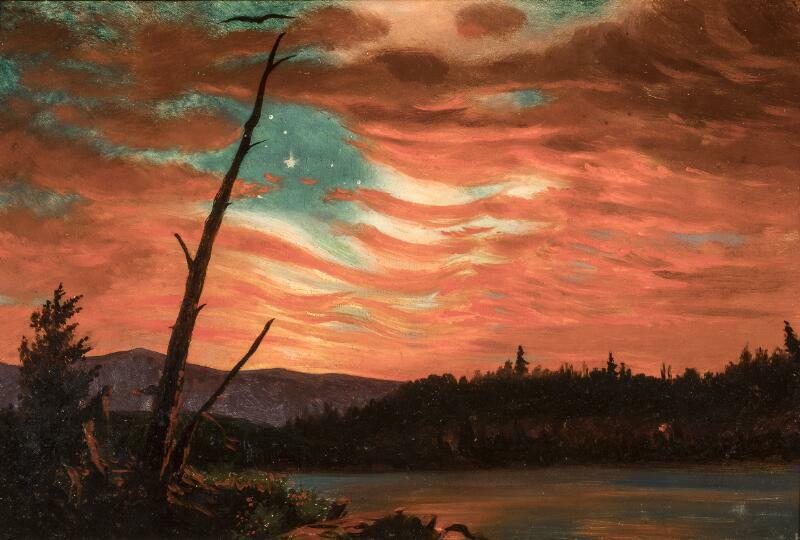 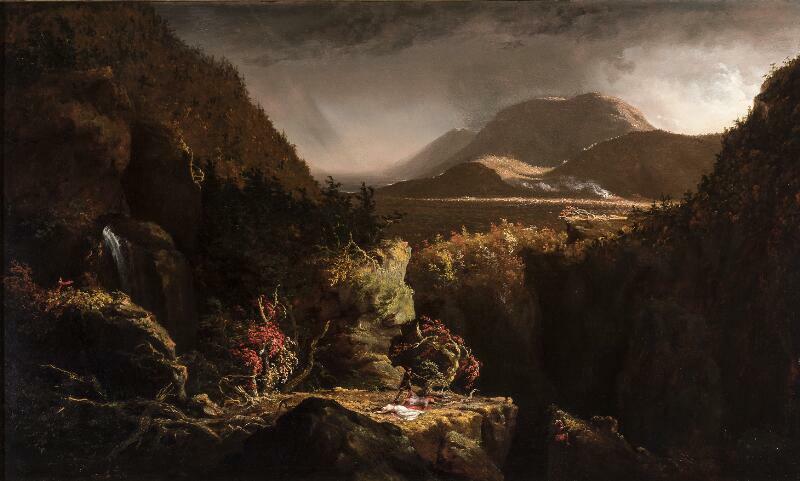 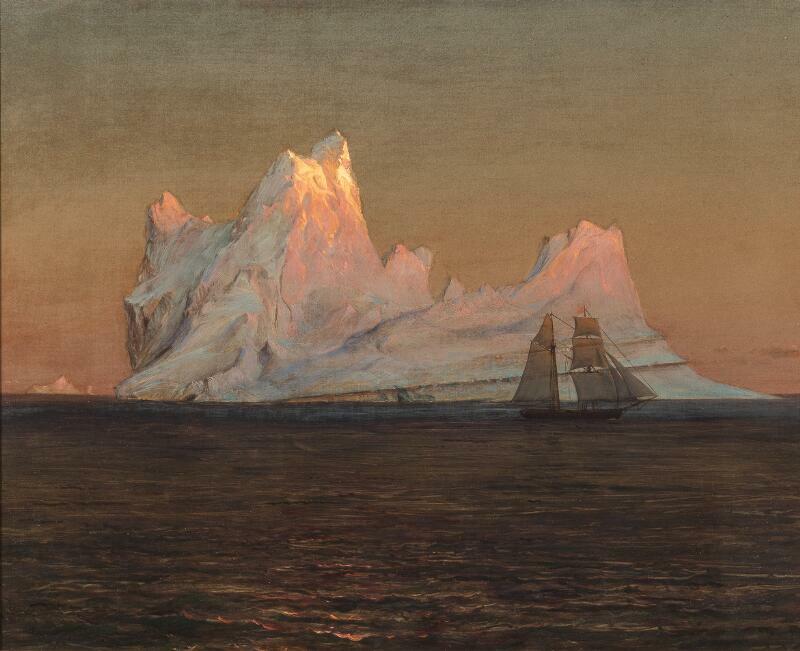 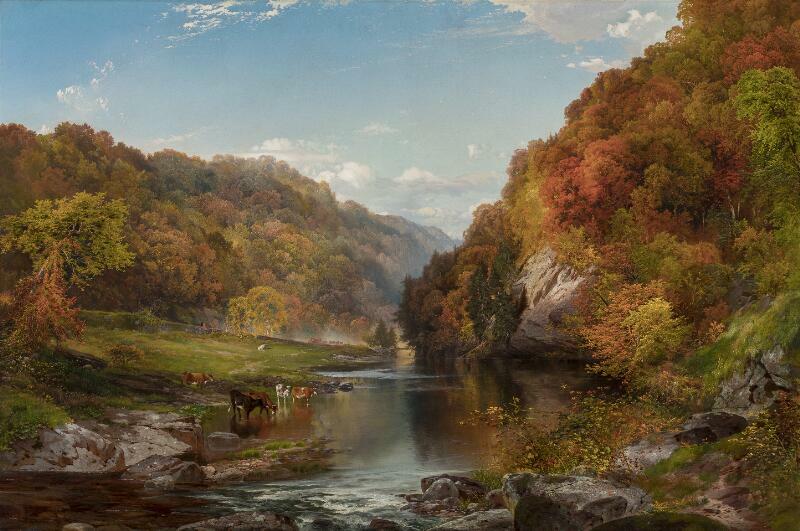 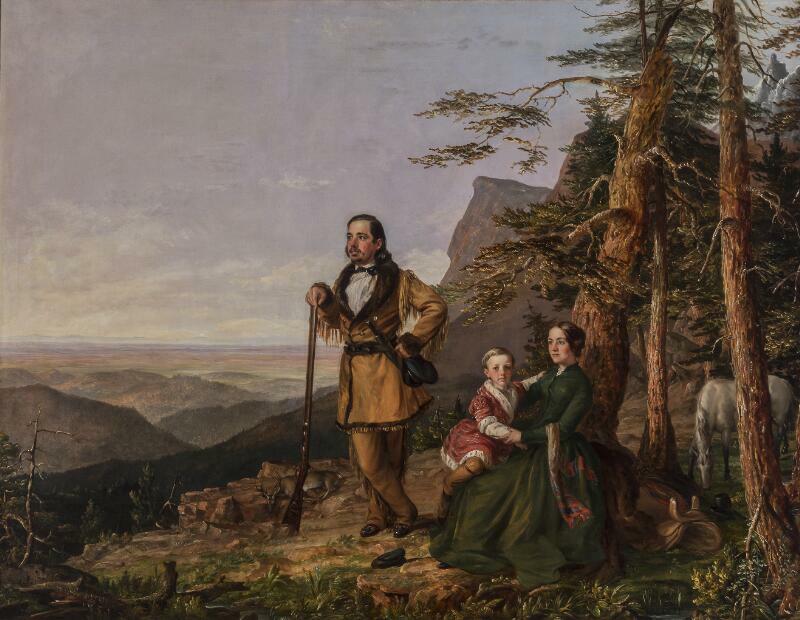 The painting suggests a return to rural values and a reaffirmation of the pre–Civil War transcendentalist belief in the sacredness of nature. 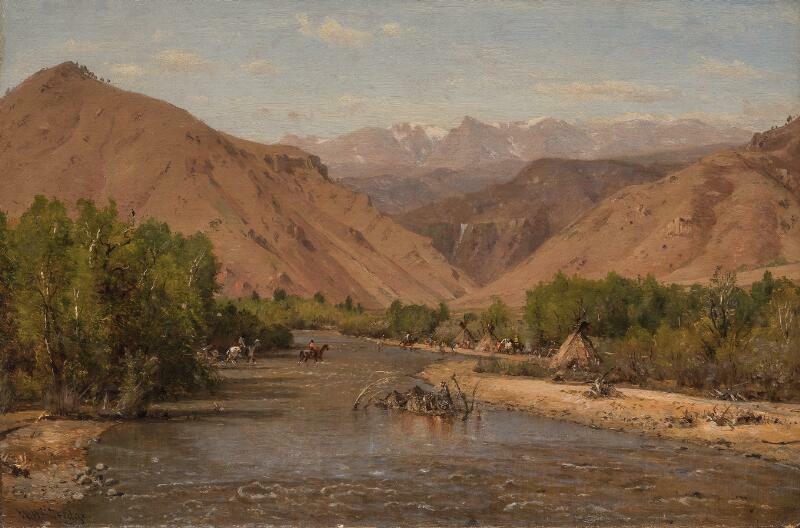 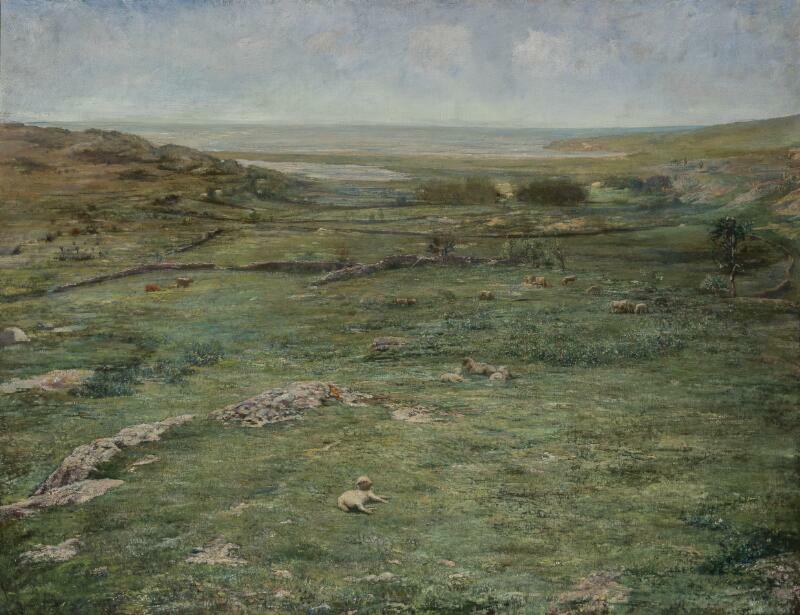 It also demonstrates Kensett’s ability to imbue a specific local landscape with a broad cultural theme.